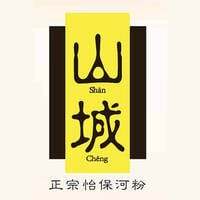 Shan Cheng is an establishment dedicated to providing their patrons authentic Ipoh cuisine in sunny Singapore. The ingredients used to craft items in their menu, such as coffee, rice noodles or Hor Fun, and various sauces, are all imported directly from Ipoh to maintain the authentic taste of the cuisine. Some of their house specials are char siew, ginger duck, and shredded chicken hor fun, which are all prepared based on the secret recipes developed by the founder’s mother. They are also winners of the “Food and Service Excellence Award 2014” from the Singapore Enrich Group for their quality service and food.